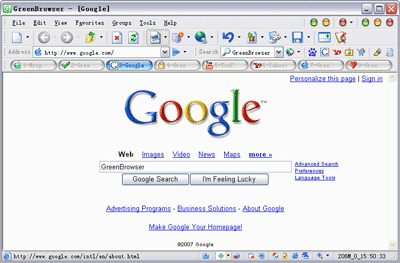 Green Browser is a free, skinnable, tabbed portable internet browser that looks and functions much like internet explorer. It makes for a simple alternative to portable firefox as well. Green browser can be installed to and run from a portable USB device. Some key features include an ad filter, search bar, external toolbar, download manager, selectable skins, proxy setup and much more. Green browser is open source software.